One of the most widely prescribed synthetic drugs for acne treatment is Accutane. The bastards that made, marketed and sold this product should be in jail. Do not buy or even look for this “product”. It is just another in the long list of catastrophic mistakes unleashed on the public by drug companies. Like I told folks repeatedly when this poison was being sold on the market, it will eventually be removed and surely enough, it was. After it’s makers made billions from it first. My Rambling: Lovely ain’t it? The “side effects” are worse than the symptoms. Take this drug, it will temporarily suppress your acne but there’s a chance you’ll give birth to a seriously deformed child or you may even kill yourself so in that case, acne won’t be an issue. Excellent work! My Rambling: And why the hell not? If you or I made something that deformed and killed people, we’d be in jail. These cash rich companies literally get away with murder. When in doubt, follow the $ trail. Hailed by DOCTORS as a breakthrough? These bloody dermatologists who hailed it as a “breakthrough” WENT TO SCHOOL. They went to all sorts of esteemed schools, wrote thesis after thesis, looked at “peer-reviewed” studies and the whole 9 yards didn’t they? Or do they just hand out dermatologist licenses in cereal boxes now? This just goes to show you when an entire modality is based around treatment, greed and money rather than genuine care and healing, people are put last. If someone is after truth and not self interest, problems like this would never arise. Step 1: Make a drug that hurts, deforms and kills people. Step 6: Rinse and repeat but not before laughing their asses off all the way to the banks (plural). Get this: In the year 2000 alone, they sold $760,000,000 worth of Accutane. In one year! How much did they sell over the 40 years this was on the market? You’re talking in numbers most folks never venture to explore. Think about that next time you hear a drug company got fined a few million dollars. And the fact is, all this acne business can be healed by detoxing, fasting and eating fruits and vegetables, hahah. What a joke these companies and the people who represent them are. Like, share, comment. Spread the healing. Not the acne. Hello here. I never had serious acne problem and never heard about Accutane. Maybe it is a reason because I do not care about chemicals. I had one personal experience with drug which had side effects such as hair loss, hallucinating. It cost a lot, but I bought because my doctor advised. Fortunately I checked out it and brought it back to pharmacy. I got rid from my problems using vitamin B, some calcium. It was simple. After it I became suspicious about all attempts to sell something as miraculous drug. I know that the nature is best healer. Of course if emergency occurs we need help, but in other cases it is better to stay away. I wonder if there are cases against Accutane? If this drug is so dangerous it supposed to be lawsuits. Thanks for information, all the best, be healthy and wealthy, Nemira. Thanks Nemira for chiming in. Hello, I’m from the UK and took accutane healed me for Afew years but now my breakouts have come back and my doctors offered it me again Afew years ago and I refused and am pursing natural remedies. Do you have any advice on detoxifying my body accutane or anything I should so after taking it, if there is anything or if anyone does no of anything let me know. Thanks for checking in mate – yes, as outlined, Accutane is just another symptom suppressor. It can keep your acne at bay for a little while but then it returns with a vengeance. This is what I was trying to communicate to Jayne earlier. Detoxing your body from Accutane is exactly the same as cleansing it from any other synthetic toxin. Your lymphatic (garbage disposal) system inside your body is blocked up. This is most likely to years of a standard western diet heavy in animal products particularly dairy which is a well known inflammatory and acidic “food”. The way to get your acne to subside is to put out the fire so to speak by cleaning house. Stop putting in the foods that cause your body to react this way and start going after those healing ones. You can do this by eating more fruits as they deeply cleanse – especially those like watermelon, grapes, oranges and the like. Please go through the rest of the pages as I have tried to list several ways you can do this. Thanks again for checking in – all the best on your healing journey! Yet another situation that is all too common. Drug companies have no interest in curing people’s problems, just covering up their symptoms so they keep coming back for more. There is always a root cause to a problem, and with acne it mostly starts in the gut. Heal the gut and 90% of the time the acne goes away. Stop polluting the body with toxins, support detoxification pathways, and mostly people’s acne goes away. Great post, blowing myths out of the water! Thank you. Here, here Clare! Excellent insight – thank you. This is the really sad, sad situation going around all over the world regarding our health and treatments. With the monopoly of these multi-national pharmaceuticals, they have so much power to control what is going on. I am with you, more people must know about these guys and it’s means us arming ourself with knowledge.Your article does justice to this deed and I will share it on my fav. social platform to spread the word. Continue fwd and don’t stop….. Thanks Roopesh, but Im not Cody lol. Someone I know just started taking Accutane for his skin problems as a last resort. He said it was dangerous but that it would remove all his acne problems within the year. I really wish he would realize it won’t remove anything. It’ll push the problems back deeper and wreak havoc on his body. This drug should be banned! Good article. I never had acne, so was never tempted to buy such drugs. As I’ve stated many times though, it’s really hard to be rational, or critical when you want an outcome really bad! For me, it was body building suppliments. If I had acne ,I probably would have used Accutane, unless I found something stronger. With the drug companies, money is the root of the problem, because they want a profit from their research. The sad thing is that it takes so long to really determine the safety of a product. Even a generally safe product may be dangerous under certain situations. Aspirin was mainly used as an analgesic and fever reducer, but time proved it to be a potent blood thinner, and in some situations, a heart health supplement. It also was found to be able to induce dangerous bleeding, and potential death for babies treated with aspirin to reduce fevers. Aspirin’s inventers couldn’t have known all these facts. They were not gathered yet. On the side of natural health, “The Grapefruit Diet”, was popular for a hot minute, until some people died from it! Most of the world didn’t know that this nutritious fruit contains toxins that can kill, under a few specific conditions .I respect the view of the author, to be sure. It’s very important that we carefully research product safety before products are marketed. That aside, I would also caution the public not to inhibit the invention of new medicines. They could save lives. Even acne medicine could save a life, or someone’s sanity. It could make a difference between a successful person, and a loser. The main consideration is, we have to market our products with the first consideration in mind, that we wish to help others.The money will follow. Also, we need to educate ourselves well, in order o avoid landing on well intended, but dangerous ideas. Remember that Sigmund Freud used to endorse cocaine. Why? Cocaine may actually improve the mental conditions of some people, and even solve some health problems, but it can easily kill. When he realized this, his opinion changed. I’m glad he wasn’t jailed, or murdered for trying. It’s up to all of us to chose how we transform ourselves, and what risks we are willing to face. The drug companies could help by testing their products better, and keeping the public informed. Fruit doesn’t kill you Sam. I’ve eaten nothing but oranges for 6 months before. Primates eat nothing but fruit for decades and they don’t seem to be dropping dead out of the trees either. We need to get back to our roots and nature is our pharmacy. For sure, they may be some medicines that are important and I’m all for developing them responsibly. The problem is, drug companies don’t give a damn about ethics or responsibility. They only care about making as much money as possible at absolutely any cost. Acne medication takes lives, it doesn’t save them. Treatments don’t work and I’ve dedicated this entire site and illustrated why. Hello Sammer. I enjoyed reading this. To me, itâ€™s about ethical issues against the capitalist. I am not saying health industrial companies are all unethical, but just looked at the acquisition if youâ€™re unaware of. Pfizer for example, just made a deal, a mega deal which involves huge, lump sum. Not that theyâ€™re not fit for purpose, but itâ€™s just that we have to be aware of drug companies and products. When money dominates everything. At the moment, it’s all about putting money before people at literally any cost – even if it means someone’s life. Already I can say, I’m going to enjoy this website. This the type of BS I’m getting annoyed with in conventional approach to medicine. It’s just astonishing medical corp science community believe in the mind set: “because nature can’t be patented we have to replicate nature’s therapeutic effects and make sure it contains side effects to be deem a “remedy”. Keep spreading the knowledge. I look forward on the next review of poison that corp medical want us to sell our bodies out towards. Thanks Sekhem, I do my best and I fully agree with your statement. Drugs like Accutane should never have been allowed on the market. Having suffered acne a teenager the number one product I had most success with was antibiotics from my doctor. Anything else just did nt come close! Topical lotions, you have to know what you are dealting with, some are actually quite acidic and do actually damage to the skin if used on a long term basis! Antiobiotics aren’t much better though since they’re suppressants. Accutane on it’s own is just poison, hope you didn’t have to take it! Thank you so much for this enlightening article. It is a disgrace that people like this get away with such barbarity. As you say, so many people who are involved in the manufacturing of such products all have their hands out for the taking so do not give a damn about the consequences.Disgusting. An eye for an eye if you ask me. They should be forced to use accutane themselves and spread the love so to speak. Arseholes. LOL! Yes Holly exactly. 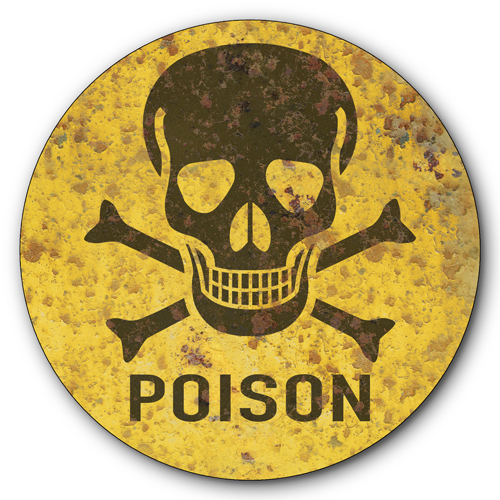 I always ask the makers of such toxic poisons like Accutane – so – would you take it yourself? Usually they just change the topic. They are the lowest of low. Complete and total disregard for the well being of others and simply after more money. They are worse than banks. A powerful article, you write with great passion about your subject. I’d never heard of this treatment, but its possible that it wasn’t licensed in the UK. I’m pleased that its since been withdrawn as it sounds horrendous, certainly a case of pharmaceuticals being more concerned about the money. Accutane was being written by doctors like candy at it’s peak years. Just unfathomable how regulatory bodies can allow this to happen to people. This drug killed and maimed many people before it was removed. Negligence, irresponsibility and greed all wrapped up in a insidious sandwhich. As a person who took accutane I wish I had seen your posting before I took it. I was a stupid teenager who cared more about my appearance than I did my health. I was stupid and didn’t realize the consequences of my actions, and the damn doctors recommended for me to take it a second time. You are right about the dermatologist industry and it really struck a chord with me. Thank you for the post. I think the only suggestion I have is that it focuses primarily on personal opinion and doesn’t provide a lot of physical evidence on the page, when there is a lot of it out there that you could include and source. Great passionate blog! Hi Cody, thanks for your comment and I actually did source facts on the page – take a closer look at the link I provided up from the website Also, it’s under “my ramblings” so yes, a lot of it does have to do with my opinion…that’s based on research! hehe. Sorry to hear you were deceived into this Accutane poison. It’s a nasty drug that is like many other nasty drugs they put out there, ruin people with then say oops. Horrific industry. Be well my friend.